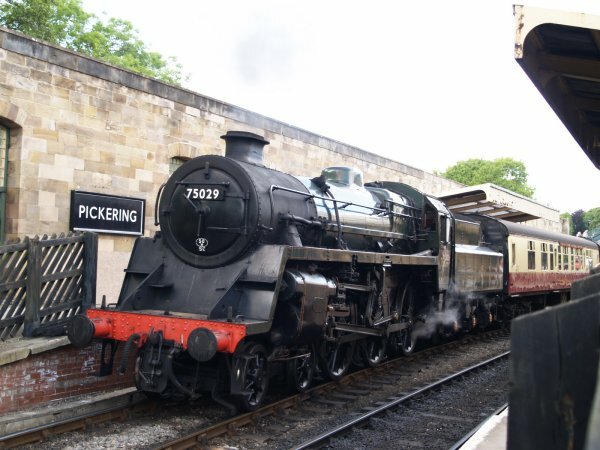 Pickering station is the southern terminus of the North Yorkshire Moors Railway (restored to 1937 heritage status condition, here still without the new roof!). 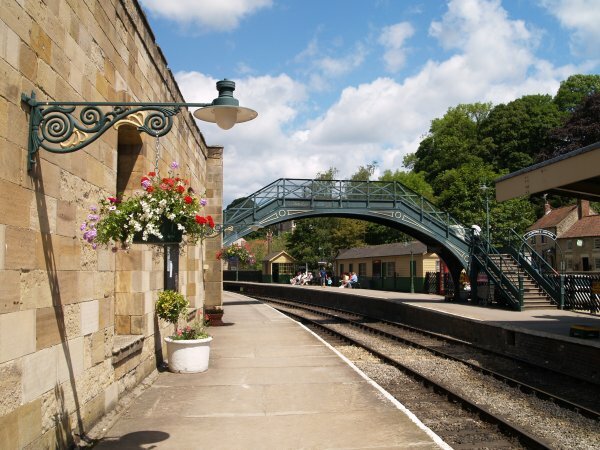 From it you can travel for 18 miles to Goathland through the most beautiful scenic moorland country and even on into Whitby. A must for any tourist-visitor staying in the area. 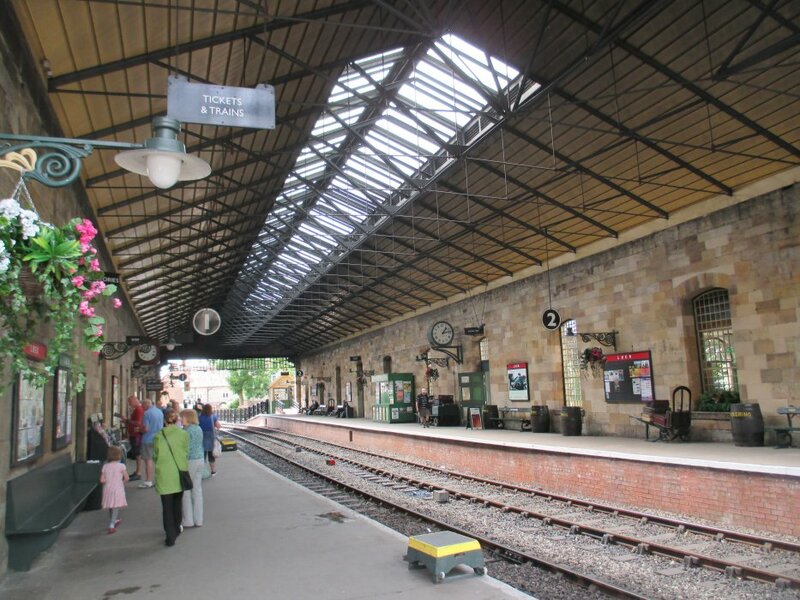 At the time of the photograph (Feb. 2007) there was much painting of the station and cleaning up the carriages ready for the visiting tourists. The puffs of smoke will be seen from March 11th. 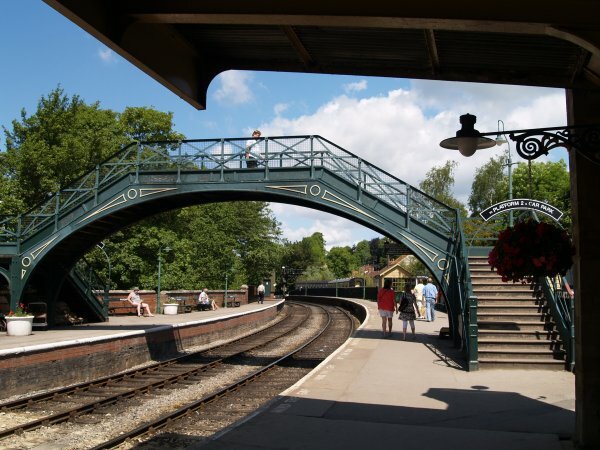 The footbridge and platforms of Pickering Station. 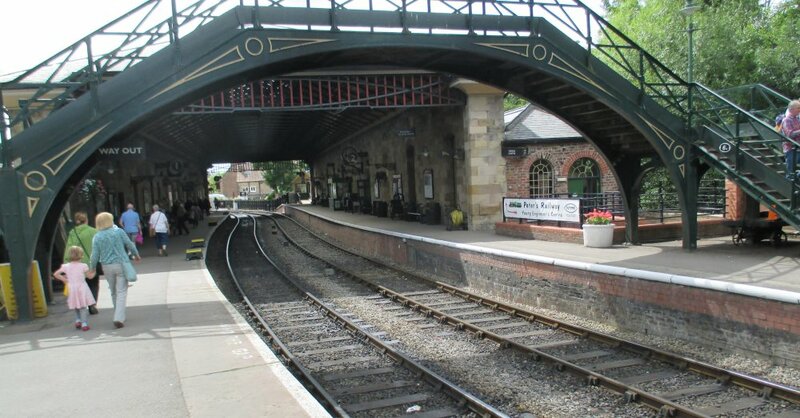 The new roof of Pickering station. 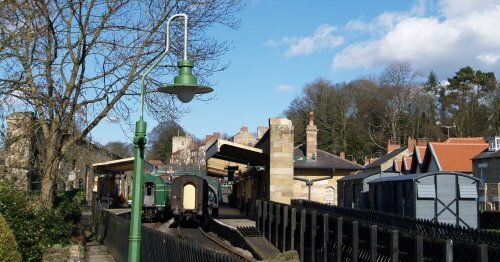 The line used to run south to Malton to join the Scarborough - York railway line. 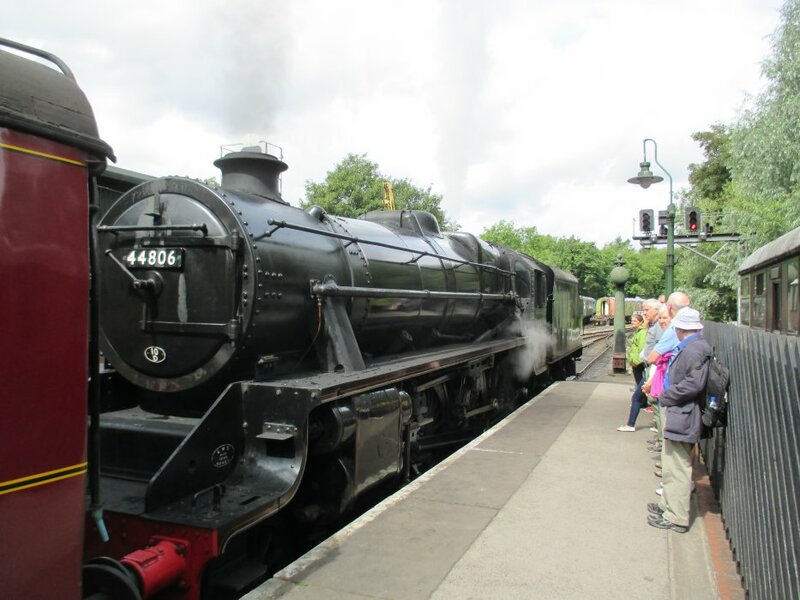 The train to Grosmont was diesel hauled and steam engine back to Pickering. 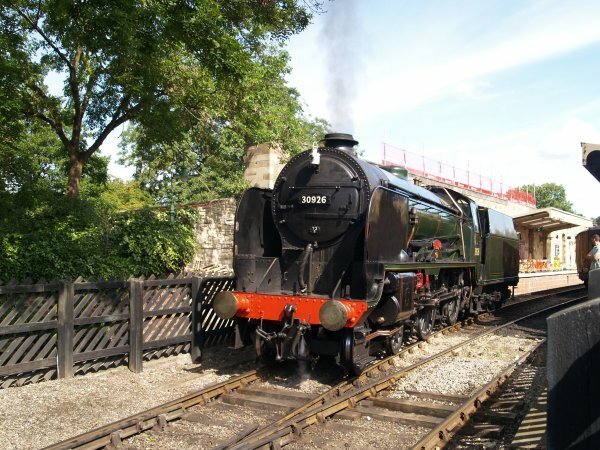 Leaving Pickering, passing the engine shed where a steam locomotive (80135) is being prepared for the first steam hauled Pickering-Grosmont train of the day. Leaving behind the green farmland of the Pickering area. Heading north towards Levisham and into more forested country. Heading into the deep and dramatic Newton Dale Gorge. Emerging from Newton Dale Gorge and heading for the village of Goathland. Passing through rolling green hills and farmland as Grosmont is approached. 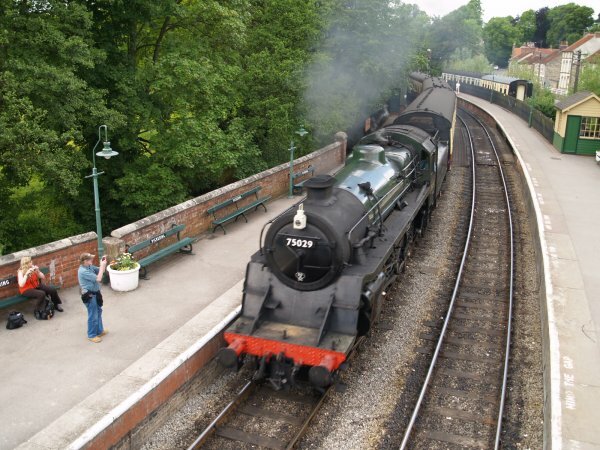 Arriving in Grosmont Station as the famous LNER 4-6-2 A4 pacific locomotive 60007 "Sir Nigel Gresley" is ready with a train bound for Pickering. 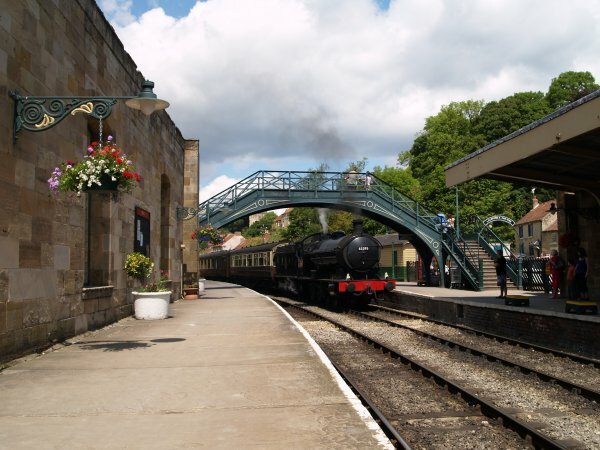 It was steam on the return trip from Grosmont as the famous blue Sir Nigel Gresley, pulls into Pickering Station. 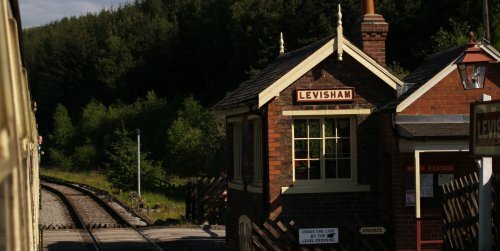 Enter place, village, walk, church, building, historic feature, anything of interest!